We've been a Forex author for many years on Zero Hedge and many other sites. Writing is a big part of our job as analysts, and educators. Recently we published a book Splitting Pennies - Understanding Forex to explain this complicated market to investors. We write by purpose - Forex is the largest market in the world and the least understood. Because of this, it's not widely covered in the main stream media (MSM) and when it is, it is often mis-characterized. After 15 years in this business, we don't believe there is any 'conspiracy' hiding the 'truth' about Forex- it's simply a lack of understanding. The guys who really understand Forex are mostly working for banks or hedge funds and making a fortune, and a few, professing at universities. Although we'd like to see some guest author compensation - the fact that guest authors are allowed to write freely without ANY editing is INVALUABLE in a market such as Forex which is vastly misunderstood. For example a lot of Forex information is coupled with 'conspiracy theories' and 'politics' although it should not be. For example, with events such as 911, often a move in the Forex market will preceed the actual event by several hours. We know that generally speaking, terrorists don't have access to huge amounts of capital or connections on Wall St. - so this is an odd phenomenon that's never properly been explored or discussed. By stating the facts, we aren't making any conclusions, simply that 'someone' must have had foreknowledge, whether it be intelligence services, well connected investors, governments, or who knows. Statistical analysis has shown that it's not coincidence. Anyway, this topic is an important one for Forex but not one that is 'appropriate' for Bloomberg news. Bloomberg is a great example of the MSM because Bloomberg has always been 'business news' - with an international focus. Others such as CNBC are more US focused. Recently the 28 redacted pages of the 911 report to be released, have potentially significant impacts on markets - not only directly, but how markets function. It is also an important Forex event because potentially, we can see a shift of sentiment away from the US Dollar as a global reserve currency. But more importantly, 911 exposes how 'someone' whoever that group may be, manipulate world events in direct connection to markets and profit. The markets are manipulated - if you think investors have a fair shot in the markets, you are due for a wake up call. Suggested treatment - disconnect your Television and social media and read Zero Hedge for 90 days. An article was composed by analysts at Fortress Capital which was not published by several MSM sources, so we posted it on Zero Hedge. The article isn't really inflammatory but discusses these topics in objective way, asking questions that some would rather not like to be asked. It was a relief that it could be published in a timely manner before the markets opened. We have authored several seemingly pro-Russia articles for ZH and were never encouraged to do so. First, the mantra of analyst objective integrity is to be pro-fact, not pro- anything. We would say we are pro-fact, not pro-Russia. The only people in the world who are really pro-Russia are average Russians living in Russia. If you talk to Russian intelligentsia, or Russians in America, they are critical of their country and just roll their eyes. Practically though, Putin has done a great job leading Russia into a new market based system - which is not easy if you understand the culture and where they came from. America was founded by commercial interests, it was a business from the beginning. Russians have lived 80 some years under a controlled system, and those who tried to start a business were mostly killed. The mentality is in their genes, it will take many generations for Russia to grow into a real superpower. They need social reforms, business law reforms, regulations, human rights, immigration reform, and a number of other changes, before they can be a serious threat to other major economic powers. But Russia has acheived a lot and they have made good use of their natural resources. It just so happens that because they are a 'new' economy Russia is an excellent Forex example. Because the Ruble is still controlled by the central bank, although you can exchange in and out of Rubles freely, there are trading rules, and the rate is controlled by the central bank aggressively. There are many interesting ironies about Russia and Forex, such as the largest retail platform in the world is a company from Russia (Meta Quotes). During the period of 2007 - 2008 the most objective MSM coverage of the financial crisis was provided by Bloomberg. Brian Sullivan was the best anchor who seemed to really present information as it should be, not as 'marketing.' He seemed sincere with his comments, he would say "I work for you - the viewer - so let me know how I'm doing, give me your feedback!" So we did. The first comment was to tone down his sporty attitude, he was calling the markets like a boxing match, which seemed out of taste at the time. This was peak of the credit crisis. Sure enough next day - he toned down his clown like attitude, dressed in professional suit and very serious! This guy really did his job well, so it seemed. Weeks go on and the Fed was under pressure to do something about market events, and he made a comment about "Shouldn't the government, the Fed, do something about this situation?" We fired away many comments about how the Federal Reserve is not part of the government. It's no more Federal than Federal Express. The Fed was created by an act of Congress, but it is a private bank. The President appoints the chairman, but that's all. There's no other connection to the government. The next time he discussed it on air, he said, "But shouldn't the Fed, whoever owns it or if it's private or whatever, do something?" - several days later - he no longer worked for Bloomberg! It is unclear what time period Mr. Sullivan would handle for Fox Business, which relies on a dual-anchor format during the day. A Fox spokeswoman did not immediately respond to a request for comment. In an interview at Bloomberg’s offices last August, Mr. Sullivan, an avid race car driver on the weekends, said he did not spend much time thinking about Fox. “If I sit there worrying about my competitor, it’s called driving-in-your-mirrors racing,” he said. Coincidence, maybe. But a strange one, especially during a time when people started to question the Fed. But let's take a step back and understand what is Bloomberg. The Bloomberg Terminal is a trading appliance (well, it used to be a physical appliance and now it's an application). Bloomberg News is a 'value add' service provided to Bloomberg customers, so they don't have to use a 3rd party for general market news. Bloomberg more importantly streams economic data and other market news over the terminal, as does Dow Jones, Reuters, and other news services. Bloomberg was always more objective than traditional news for this reason. But like with anything, over the years, they became biased and poorly managed just like the media they replaced such as CNBC. That's their perspective - they sell terminals, market data. The Bloomberg Terminal has almost no competition in many markets, especially OTC derivatives such as CDS, or if you want to trade Forex with a central bank, you need the Bloomberg Terminal. Zero Hedge has been, for recent years, one of the only online platforms for objective Forex discussion. This situation with the rogue author is sad, but it just elaborates what a sham Bloomberg is, and encourages ZH to work closer with Guest authors and other financial professionals who still have a need for a platform such as ZH. It shows how Bloomberg has declined and lost complete control over its editorial staff. 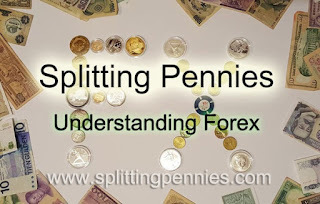 This is all explained in our book Splitting Pennies - Understanding Forex. Open a Forex account (if you are a non-US citizen) and get a free robotic strategy with every purchase of the book. While the US Treasury's semi-annual report on the foreign-exchange policies of major U.S. trading partners has traditionally been, pardon the pun, a paper tiger, as the US has not named a single country as a currency manipulator since it did so to China in 1994, and it didn't go so far as to blame any country as an outright manipulator in the just released April edition, there was a new addition to the latest report. In an inaugural "monitoring list", the US put five economies including China, Japan and Germany (as well as South Korea and Taiwan) on a new currency watch list, saying that their foreign-exchange practices bear close monitoring to gauge if they provide an unfair trade advantage over America. In determining the appropriate factors to assess these criteria, Treasury took a thorough approach, analyzing data spanning 15 years across dozens of economies, including all economies that have had a trade surplus with the United States during that period, and which in the aggregate represent about 80 percent of global GDP. The thresholds are relatively robust in that reasonable changes to the thresholds do not materially change the Report’s conclusions. Treasury will also continue to review the factors it uses to assess these criteria to ensure that the new reporting and monitoring tools provided under the Act meet the objective of indicating where unfair currency practices may be emerging. Pursuant to the Act, Treasury finds that no economy currently satisfies all three criteria, however, five major trading partners of the United States met two of the three criteria for enhanced analysis. Treasury is creating a new “Monitoring List” that includes these economies: China, Japan, Korea, Taiwan, and Germany. China, Japan, Germany, and Korea are identified as a result of a material current account surplus combined with a significant bilateral trade surplus with the United States. Taiwan is identified as a result of its material current account surplus and its persistent, one-sided intervention in foreign exchange markets. Treasury will closely monitor and assess the economic trends and foreign exchange policies of these economies. As noted above, Treasury is creating a new “Monitoring List” that cites major trading partners that have met two of the three criteria specified in the Act. In this first Report, the Monitoring List includes China, Japan, Korea, Taiwan, and Germany. This is about as direct a threat to the 3+2 nations not to engage in major currency devaluation whether through QE, NIRP or major interest rate changes as Jack Lew could come up with, and in some ways was to be expected in the aftermath of the G-20 meeting which as we found out this week, precluded any additional QE by the BOJ. While no economy met all three of the criteria, this result is a reflection, in part, of the dynamics of the global economy during the past year, in which capital outflows from emerging markets have led a number of economies to engage in foreign exchange intervention to resist further depreciation of their currency (rather than appreciation). The extent of these flows was unusually high by historical standards, which underscores the possibility that more economies may trigger these thresholds going forward. It added that "the Administration shares strongly the objective of taking aggressive and effective actions to ensure a level playing field for our workers and companies. The President has been clear that no economy should grow its exports based on a persistently undervalued exchange rate, and Treasury has been working aggressively to address exchange rate issues bilaterally, including through the U.S.-China Strategic and Economic Dialogue, and multilaterally through the G-7, G-20, and the International Monetary Fund." The United States has secured commitments from the G-20 member countries to move more rapidly to more marketdetermined exchange rates, avoid persistent exchange rate misalignments, refrain from competitive exchange rate devaluations, and not target exchange rates for competitive purposes.Through Treasury’s leadership, the G-7 member countries, including Japan, have publicly affirmed that their fiscal and monetary policies will be oriented toward domestic objectives using domestic instruments. Treasury has also pushed for stronger IMF surveillance of the exchange rate policy obligations of its members. The IMF now publishes an exchange rate assessment for 29 economies, and is improving its exchange rate analysis in its Article IV reports on member countries. And through U.S. leadership, the Trans-Pacific Partnership countries have adopted—for the first time in the context of a trade agreement—provisions that address unfair currency practices by explicitly adopting G-20 exchange rate commitments and by promoting transparency and accountability. In other words, the next country that dares to engage in wholesale currency devaluation with the US' express prior permission gets it, although it is not quite clear what "it" is (we will have more thoughts on that tomorrow). Finally, there was no comment by the US Treasury on the biggest FX manipulator of all, the US Treasury itself which courtesy of the Fed can move the value of the Dollar higher or lower by orders of magnitude in seconds. Why? Because for now the US "reserve currency" privilege allows it to do whatever it wants, plus as a reminder, the world remains synthetically short trillions of dollars. If the US wants to punish everyone else, all it needs to do is to increase the value of the dollar by 10-15% in a short period of time, and we will again witness the same events that led to the market swoon in late 2015 and early 2016. The China Containerized Freight Index (CCFI) tracks contractual and spot-market rates for shipping containers from major ports in China to 14 regions around the world. It reflects the unpolished and ugly reality of the shipping industry in an environment of deteriorating global trade. The Shanghai Containerized Freight Index (SCFI), which tracks spot-market rates (not contractual rates) of shipping containers from Shanghai to 15 destinations around the world, dropped 3.6% for the latest reporting week to 472, after another failed price recovery. It’s down 58% from February last year. Rates to Europe plunged $20 per twenty-foot equivalent unit container (TEU) to $271; to the Mediterranean, rates plunged $29 to $409 per TEU. 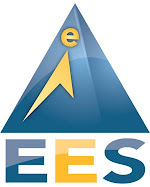 To the US West Coast, rates plunged 9.3% or $79 to $770 per forty-foot equivalent unit (FEU). A year ago, the spot rates to the West Coast had already fallen 10% year-over-year, and there had been a lot of hand-wringing about them. At the time, they were $1,932 per FEU. Now they’re at $770 per FEU. In one year, these spot rates have collapsed by 60%! During the big plunge last year and earlier this year, the saving grace was the price of bunker fuel, which was plunging along with the price of oil. For example, according to Platts, bunker of the grade IFO380 in Los Angeles had hit a low of $118 per metric ton in mid-January. But it has since soared 91% to $225! Bunker prices differ, depending on grade and location around the world, and not all made this sort of break-neck snap-back price reversal. For example, IFO380 in Rotterdam soared “only” 61% from $109/mt in mid-January to $176/mt. Other locations and grades experienced lower price increases. But all bunker prices everywhere have risen sharply. So the ballyhooed notion that carriers, under pressure from competition, are simply passing on their fuel savings to their customers has now died an ignominious death. Instead, their margins are getting crushed. Exports ticked up just a tiny bit to only two major countries: India (+0.2%) and Russia (+0.2%). So demand for transporting containers from China to other parts of the world has withered, just when the supply of container ships has reached catastrophic levels of overcapacity. Last year, what had already been an overcapacity problem turned into a self-inflicted nightmare for carriers. They’d assumed ever since the bouts of QE and zero-interest-rate policies started that central banks had their back. They’d smelled the lure of cheap money. And they’d fallen for the central-bank propaganda that “bold” monetary policies could actually stimulate the real economy, the goods-consuming economy. And so, imagining years of big-fat growth, they ordered ships, including the newest mega-sized container ships. And as these new ships were delivered over the past couple of years, carriers embarked on a fight for market share by cutting prices. This culminated in 2015 with the delivery of new ships that added a record 1.7 million TEU of capacity to the global fleet, just when growth in global trade was grinding down. At the same time, according to Drewry, the amount of capacity scrapped in the year plunged by nearly half, with only 195,000 TEU of global capacity taken out. Like so many things in this world where free money created overcapacity, the rates paid for ships to be scrapped has plunged from around $475 per ldt (light displacement tonnage, the weight of the vessel including hull, machinery, and equipment) in 2012 to around $290/ldt recently. As we have highlighted before scrapping alone does very little to redress the supply-demand imbalance – last year’s scrapping total was equivalent to just 1% of the cellular fleet…. Currently the US Dollar, traded on the stock market as (UUP), and (USDU); is the world's reserve currency. Although there is talk of the fall of the US Dollar as the world reserve currency, it's all talk and there's no signs that this will happen any time soon. Hungary recently issued sovereign bonds in Yuan - but so what? It's just a drop in the bucket. The practical fact is there is no real threat to the US Dollar's status as a reserve currency. However, there may be one. When Richard Nixon essentially created the modern Forex system by defaulting on the previous Breton Woods agreement, he cleverly supported the US Dollar with the one commodity the world needs most: Oil. By making an agreement with Saudi Arabia and then other Oil producing nations, it created natural support of the US Dollar. Nixon told them the following: Sell Oil in US Dollars, and we'll provide you with military technology, security, and other benefits. We'll do business, you'll invest in our markets, and recycle those dollars you get from our partners. It all works like a well oiled machine (pun intended) for 40+ years. There's only one thing that could disrupt it - Saudi Arabia chooses to end it. And they've threatened to do so, if the US releases classified documents about 911 which implicate Saudi Arabia. Under the Petro Dollar agreement, Saudis' re-invest their US Dollars in US markets, most notably, the treasury market - but also US Stocks. ETFs for US Treasuries include (GOVT) and (SCHO). Large selling of US Treasuries, the US Dollar, and US stocks, could cause the market to go down. Some worry that it could cause others to panic sell because of momentum. These fears are unfounded. It can cause temporary volatility, but nothing systemic. As the Fed says in a 19 page letter, if something is going to cause the US financial system to melt down, it's likely going to be JP Morgan (JPM). A federal lawsuit moving forward in Manhattan could open the floodgates to tightly held government secrets about foreign connections to the 9/11 attacks.While the Obama administration refuses to make public the censored 28 pages of the congressional intelligence report implicating the Saudi government in the terror strike -defying bipartisan requests from lawmakers - the two investigators who authored the long-secret section will more than likely be called to testify in the lawsuit brought against the kingdom of Saudi Arabia. Former FBI investigator Michael Jacobson and former Justice Department attorney Dana Lesemann ran down FBI leads tying Saudi officials to some of the Saudi hijackers and documented their findings in the report.Jacobson and Lesemann went on to work for the independent 9/11 Commission, where they uncovered more evidence and connected new dots to the Saudi Embassy in Washington and the Saudi Consulate in Los Angeles.During a July 30 court hearing, lawyers for 9/11 victims' families and insurers revealed that the staffers' most serious allegations against the Saudis were stricken from the final draft of the 9/11 Commission report as well. "They were removed at the 11th hour by the senior staff," plaintiffs' attorney Sean Carter of Cozen O'Connor said, explaining that the decision was a "political matter." Saudi Arabia has told the Obama administration that it willsell up to $750B in treasuries and other American assets if Congress passes a bill that would allow the Kingdom to be held responsible in U.S. courts for any role in 9/11. What's inside these 28 pages is likely only the tip of the iceberg. Many information has come to light since the 911 commission which leaves more and more questions unanswered. One such information is the large amounts of Tritium found at Ground Zero. Remember that these are intra-country business deals, that take generations to come to fruition. Sons and Grandsons who inherit these relationships, aren't fully aware of the importance of them or the mechanics of their global operations. For example, when this de facto Forex system was created by Nixon in 1971, there was no electronic trading. This was a different market. What would happen in today's environment, if the Kingdom of Saudi Arabia decided to in one moment sell all of its US Treasury holdings? Analysts agree however, this strategy isn't feasible, as the Kingdom has internal financial problems. Cutting off it's biggest economic and political ally in the West would be a disaster for them. On the other hand, you never know what 'event' may trigger drastic moves. But although Saudi Arabia is a significant market player, it is dwarfed by its competition. There are other places in the world that have oil (anyway - most of the Oil from SA is not the Oil we need). Saudi Arabia's significance declines over time as their Oil fields are depleted and the rest of the world develops alternative energies. In fact, it is pressure from US Oil companies that keeps many alternative energies on the shelf. There are literally hundreds of alternatives that in 1 year could replace Oil, but are not politically feasible. The most powerful of these alternatives at the moment is Thorium Nuclear Reactors, a more potent and safe alternative to current Uranium reactors. They don't melt down, Thorium is abundant in nature, and they can even consume Nuclear waste! Why this technology isn't being used? Because Chevron (CVX) and Exxon (XOM) are making too much money. And they pay taxes (interestingly, Oil companies famously avoid offshore tax havens and pay the maximum possible tax to Uncle Sam). Suffice to say - energy is big business, and big business for Washington. So if you're worried about a Saudi fire sale and how it will impact the markets - don't. With electronic markets, there is a concern that any big orders can cause a market panic, but it would likely be very temporary. As far as the fundamental concern that Saudis' selling debt or stocks could cause a market crash, it's not possible. In the early 1990s it was almost unthinkable that a Saudi Arabian, and a Royal at that, would burst onto the global banking investment scene from seemingly nowhere - but in 1991 that is exactly what happened. Effecting a significant coup that would catapult him into the global spotlight, HRH invested heavily in Citibank (subsequently Citigroup) stocks in a bold move that surprised many. That surprise rapidly turned into admiration as the Prince's guidance helped restore the banking giant to full health, returning it to its place as the world's leading financial institution. Prince Alwaleed's investment in Citigroup has since delivered an extraordinary level of return, and represents the largest proportion of HRH's personal wealth. The Saudis' have unknown investments in USA but they are substantial. The central bank doesn't disclose it's holdings, billionaire princes and other 'charities' controlled by the Kingdom may only disclose their holdings when it is suitable for them, politically. SAMA's own figures show reserve assets held in foreign securities have fallen by a record $108 billion in 2015. The Saudi central bank, which doesn't disclose separate figures for Treasuries, owned $423 billion in overseas securities as of November. "I come down on the side of thinking there should be more transparency," said Jeff Caughron, chief operating officer at Baker Group, which advises community banks with more than $45 billion in investments. But at the same time, "the Treasury is constrained by political sensitivities and that comes into conflict with market participants that crave more transparency. It's an understandable conflict." So although we do not know the extent to which they are invested in US markets, we know that it's substantial, and we know they have an incentive for doing so. If you're concerned about how the release of classified 911 information will impact the markets - consider going long energy. Don't worry about the selling of US debt. If there really was a fire sale of US Treasuries, the Fed can easily print money and buy them. As the Fed has unlimited supply of US Dollars, there's no chance in this universe or multi-verse that the US can default on its debt obligations. Maybe it's time the "Petro Dollar" system be replaced with "Nuclear Dollar" system. It's outdated, things have changed. Since 1971, the population of the Planet Earth has more than doubled. Advances in technology are immense. Maybe it's about time we started using them. We talk about this in our book "Splitting Pennies - Understanding Forex"
I wrote Splitting Pennies not only with the idea become wealthy, but to educate people about finance and money. Because if we all understand finance better, it will bring us all more wealth, it will reduce market risks, and overall increase the standard of living on planet Earth. So for this reason, I’ve reduced the Kindle price to $.99 for the next 48 hours. You don’t need a Kindle to read – just an amazon account. Also, you can read Splitting Pennies and many other titles free by subscribing to Amazon’s Kindle Unlimited program which is $9.99 a month. Click here to buy Splitting Pennies - Understanding Forex for only .99 for the next 48 hours. It is my goal that people understand Forex – which is key to understanding the financial system. If you need money, or have financial problems, or financial success, or you are a wealth manager, Splitting Pennies is for you! I mean, even a bum living under a bridge has a reason to read Splitting Pennies – as it impacts all of us, whether you have money, or not, or you are in the money business. At the end of the day - 'Forex' is a metaphor for "Matrix" called life. In my book I put for readers the holy grail of financial intelligence, which will open your mind to new ways of thinking about life. So my goal is that many people read this book, because if a critical mass of people understand key concepts, it can change something for the better in our society. The Panama Papers is the most US positive event of the year. High probability that many US Stocks will be impacted, mostly for the better. Investors should research and prepare themselves. Expect long term real money flows to support the US Dollar. No US bank was involved in illegal activities. In case you didn't hear yet, 11 million documents have been leaked in what's being called the largest data leak of all time. It's being called the "Panama Papers" and it makes all other data leaks look like nothing. We're talking heads of state, billionaires, celebrities, drug kingpins, and even Jackie Chan.You can read more about it here, and here. Already it seems a Prime Minister (Iceland) will resign over this, although he says he will not resign. The implications for political corruption are staggering. But what is even more alarming, is the implications for Wall St. We've witnessed the fall of Switzerland as a banking haven, and more specifically a secret private banking haven. We've seen the slow demise of 'offshore' tax havens such as Caymans, Bahamas, and others. But today marks the day when the United States of America is the world's favorite tax haven. Recently, Bloomberg published an article for Business Week based on a presentation by Rothschild, painting a picture that America is "The New Switzerland." After years of lambasting other countries for helping rich Americans hide their money offshore, the U.S. is emerging as a leading tax and secrecy haven for rich foreigners. By resisting new global disclosure standards, the U.S. is creating a hot new market, becoming the go-to place to stash foreign wealth. Everyone from London lawyers to Swiss trust companies is getting in on the act, helping the world's rich move accounts from places like the Bahamas and the British Virgin Islands to Nevada, Wyoming, and South Dakota. The firm (Rothschild) says its Reno operation caters to international families attracted to the stability of the U.S. and that customers must prove they comply with their home countries' tax laws. Its trusts, moreover, have "not been set up with a view to exploiting that the U.S. has not signed up" for international reporting standards, said Rothschild spokeswoman Emma Rees. Others are also jumping in: Geneva-based Cisa Trust Co. SA, which advises wealthy Latin Americans, is applying to open in Pierre, S.D., to "serve the needs of our foreign clients," said John J. Ryan Jr., Cisa's president. Trident Trust Co., one of the world's biggest providers of offshore trusts, moved dozens of accounts out of Switzerland, Grand Cayman, and other locales and into Sioux Falls, S.D., in December, ahead of a Jan. 1 disclosure deadline. "Cayman was slammed in December, closing things that people were withdrawing," said Alice Rokahr, the president of Trident in South Dakota, one of several states promoting low taxes and confidentiality in their trust laws. "I was surprised at how many were coming across that were formerly Swiss bank accounts, but they want out of Switzerland." So how does this impact US Stocks, the markets, and the global financial system as a whole? Markets don't get it yet - but this is a boon for the USD. That means bullish for (NYSEARCA:UUP), (NYSEARCA:USDU), and bearish for (NYSEARCA:UDN). But this is a long term trend - much of it is already priced in. The point is that the US Dollar itself will be supported by real money flows into the United States, as foreigners utilize corporate structures offered in Nevada, Wyoming, and other US states. It's a great kick start to Rothschild's new Nevada office, it's great for US markets (When the money's here, it will invest in US markets), it's great for the US economy, it's just a win-win-win for USA. And through the process, another outlet has been closed for terrorist/criminal financing, and possibly even provided authorities with evidence to close even more black holes. US markets have undergone many regulatory changes, in parallel to electronic-ization. It's hard to hide money, now that everything is electronic, and connected, and online. Holes needed to be plugged - such as Panama. Those 'in the know' have known for some time that Panama is a CIA trap. Certainly since the Bush Sr. sponsored invasion of Panama, the US has controlled this small banana republic. They use the US dollar in Panama. Anyone who believes otherwise, is an uneducated fool. The release of the Panama papers prove this. For years and years, meticulously information was collected, they patiently waited, for this climatic moment. All in one move, this operation nicely supports the US dollar, ensnares financial criminals, political enemies, and closes yet another outlet not controlled by the mainstream western financial legal/regulatory system. Genius! The Forex elements of such an operation are explained in great detail in the Forex book "Splitting Pennies", for example - how offshore tax jurisdictions utilize Forex tax rules for legitimate, legal tax savings. Now a real solid argument can be made, to those US entities thinking of going 'offshore' - we can do the same thing for you, in Nevada. Why take all the risk, spend the money, and other hassle associated with offshoring - when all can be done right here at home in USA. These are the known banks, listed in the Panama Papers - of course there may be others. Of course, these banks are huge global banks involved in almost market in the world. But some of these connections can prove disastrous, without getting into detail. It's hard to prove you didn't know that someone was a terrorist, drug dealer, or human trafficker. If those payments were laundered through your bank, it's not good. The good news for US banks - there's no US bank on the list. That means as more and more 'dirty laundry' is released, it will be better and better for regulated, US banks such as JPMorgan Chase & Co. (NYSE:JPM), Goldman Sachs Group Inc. (NYSE:GS), and other Wall St. banks. It should be good for the whole US financial sector, so if one wanted to play this, may as well buy a sector ETF such as (NYSEARCA:KBE), (NYSEARCA:XLF), (NYSEARCA:VFH), or (NYSEARCA:KRE). Any boutique bank based in the US that offers wealth management, private trust services, and related services, should benefit from this event, in the short, medium, and long term. Now, there's few places in the world left to hide money. Investors who for whatever reason would consider going to Panama and other places to operate, may need to consider instead utilizing intelligent structures that are country/jurisdiction independent. Because the only real currency - is intelligence. An unprecedented leak of more than 11 million documents, called the "Panama Papers", has revealed the hidden financial dealings of some of the world's wealthiest people, as well as 12 current and former world leaders and 128 more politicians and public officials around the world. The law firm is one of the world's top creators of shell companies, which can be legally used to hide the ownership of assets. The data includes emails, contracts, bank records, property deeds, passport copies and other sensitive information dating from 1977 to as recently as December 2015. "These findings show how deeply ingrained harmful practices and criminality are in the offshore world," said Gabriel Zucman, an economist at the University of California, Berkeley and author of “The Hidden Wealth of Nations: The Scourge of Tax Havens.” Zucman, who was briefed on the media partners’ investigation, said the release of the leaked documents should prompt governments to seek “concrete sanctions” against jurisdictions and institutions that peddle offshore secrecy. The year-long investigation was coordinated by the International Consortium of Investigative Journalists (ICIJ), who worked with hundreds of journalists from the world's top media organisations including the ABC's Four Corners program. Mossack Fonseca offers extra services to provide "front people" known as nominees to act as shareholders, directors or even the owners of your company. This can make it extremely difficult for authorities trying to investigate money laundering or follow the money through complex networks of offshore accounts. Mossack Fonseca says the middlemen are its true clients, not the eventual customers who use offshore companies. The firm says these middlemen provide additional layers of oversight for reviewing new customers. As for its own procedures, Mossack Fonseca says they often exceed "the existing rules and standards to which we and others are bound". In a written response to questions from ICIJ and its media partners, the firm said it "does not foster or promote illegal acts". "Your allegations that we provide shareholders with structures supposedly designed to hide the identity of the real owners are completely unsupported and false," the firm said. The firm added that the backdating of documents "is a well-founded and accepted practice" that is "common in our industry and its aim is not to cover up or hide unlawful acts". There is much more in the full set of releases covered in the ICIJ's website, however we wonder what if any action will be taken against any of these criminals who also happen to be some of the world's wealthiest people and most powerful politicians: after all, it is they who make the rules. Finally, let's recall that as Bloomberg reported earlier this year, the world's biggest and "favorite" new tax haven as of this moment, is... the United States itself.